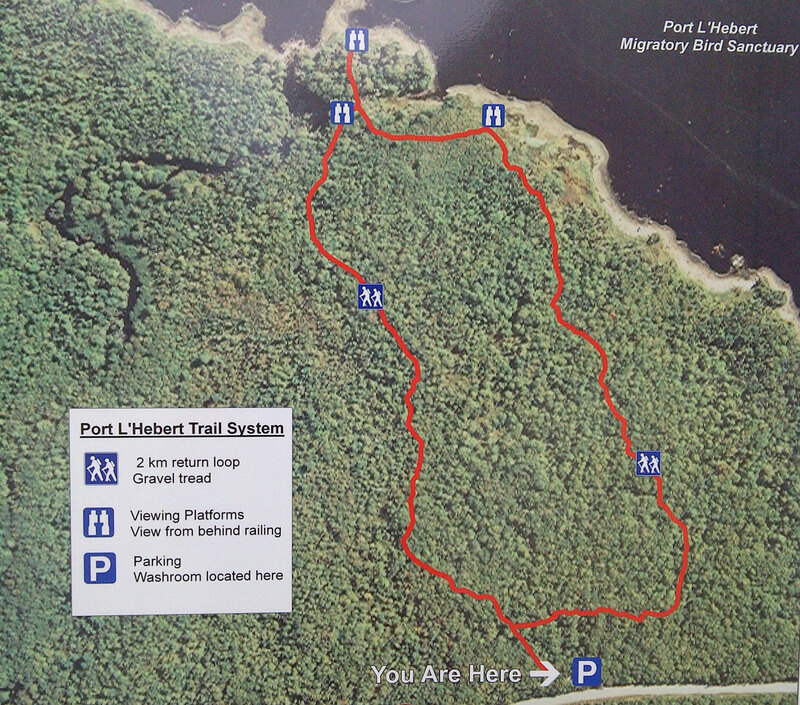 Port L’Hebert Provincial Park is a 71 ha outdoor recreation park located off Hwy 103 near Port Joli (about 25 minutes south of Liverpool). The site features a 2.1 km looped trail through hardwoods and granite boulders left by retreating glaciers and providing a pleasant walk with an attractive view of the coast. The adjoining waters of Port L’Hebert are designated as a federal Migratory Bird Sanctuary thus waterfowl viewing opportunities abound. Services include a parking lot, picnic area and vault toilets.